A review of progress on previous long-range goals, progress on previous annual improvement reading goals and current reading data, the district has identified the following measurable long range goal in PK-6 reading (literacy). Iowa Code 256.7(21)(a) Please note that this can be the same long range goal set by the district in a prior year. By the year 2020 80% of students in grades PK through 6 will be at or above benchmark on the Fast Assessments assessment. In the spring of 2018, 39% of students in grades PK through 6 were at or above benchmark on the Fast Assessments assessment. By the spring of 19, we will ncrease that percentage to 45%. The district will develop and implement a professional development plan to study and implement best practices in responding to PreK-6 literacy progress monitoring data with a focus on intensifying interventions when data suggest a need. The district will develop and implement a professional development plan to study, implement, and evaluate the features of explicit instruction in PreK-6 Literacy. Staff are/have worked through the Assessment Facilitation Guide to increase assessment, progress monitoring, and databased decision-making practices for literacy instruction. Staff are/have worked through the Universal Instruction Facilitation Guide, specific to Class Wide Intervention and Instructional Time, to improve literacy Universal Tier practices (identify problems of practice, identify and prioritize barriers, remove barriers). Staff are/have followed the Universal Instruction protocol at leadership team meetings and collaboratively with teachers to identify actions related to Consensus, Class Wide Intervention, Instructional Time and 1-2 additional building blocks for the purpose of action planning to improve literacy instruction. Staff are/have worked to increase parent engagement through community partners, e.g. teaching parents literacy strategies to use at home. Section 284.5(2) requires that districts include its plan for beginning teachers in the school district’s comprehensive school improvement plan submitted pursuant to section 256.7, subsection 21, or as part of the districts Teacher Leadership and Compensation (TLC) plan. Questions about this plan should be directed to Marietta Rives at (515) 281-6038. TLC - The district will submit its mentoring and induction plan for beginning school teachers as part of the district’s Teacher Leadership and Compensation (TLC) plan. 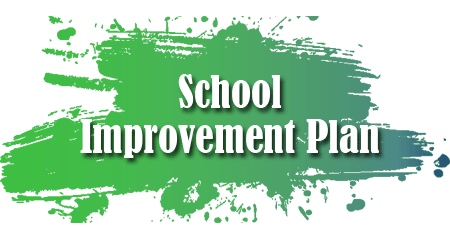 Program plans shall be part of the school improvement plan submitted pursuant to section 256.7, subsection 21, paragraph “a.” The district has created and implemented a plan for talented and gifted students. Questions about this plan should be directed to Rosanne Malek at (515) 281-3199. Use the table below to enter the number of students in grades 8 through 12 who completed the following Individual Career and Academic Plan (ICAP) requirements.